OKALOOSA ISLAND, FL: MAXIMUM MAGIC featuring Noah and Heather Wells is the premier magic show in the Florida panhandle. 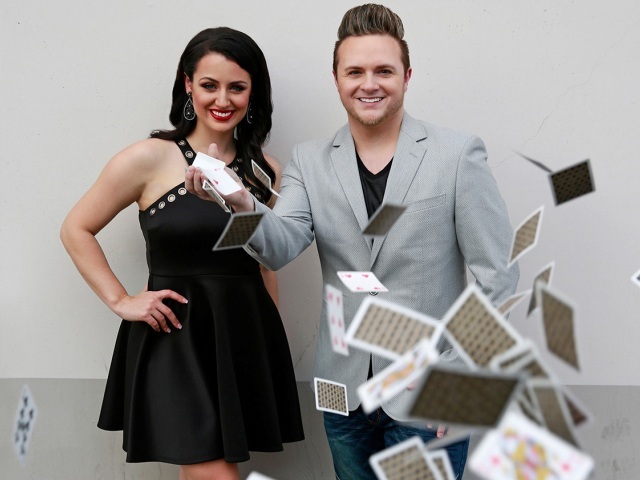 Winners of “Entertainers of the Year,” the “Merlin Award,” and “Illusionists of the Year,” Noah and Heather Wells consistently brought sold out crowds to the Okaloosa Island Theatre in 2017. Now in 2018, having exploded in popularity, the MAXIMUM MAGIC duo is expanding operations and scheduling additional, more frequent dates to the calendar in the coming year. A family-friendly, 60-minute marathon of mind-blowing illusions, hilarious comedy, and unbelievable mentalism, the MAXIMUM MAGIC show is one that you have to see to believe. As if their reputation wasn’t enough to propel the duo’s success, those efforts have been amplified since partnering with Southeast tourism giant TripShock.com. TripShock promotes a variety of activities and attractions in and around the beach, and in a sea of fishing charters, glass bottom boat rides, and parasailing adventures the MAXIMUM MAGIC show stands out from the rest. TripShock has helped manage the show over the past several years and plans to bring a full snack and soda bar to the venue starting 2018. The magic man and lady plan to add a show for adult audiences in 2018, as well. In addition to the incredible magic and comedy, perhaps the best thing about Noah and Heather’s show is how it allows for, and encourages, audience participation. Indeed, the only thing better than watching Noah and Heather complete unthinkable magic tricks is seeing the look on the faces of on-stage volunteers while the magic duo surprises and stuns. Head over to the MAXIMUM MAGIC page and snag your tickets to the next show!